When you work a nine-to-five desk job, it’s not always easy to find the time, let alone the incentive, to work out. In my office, temptation is everywhere. A birthday cake, bags of potato chips, or someone who just happened to bring in a bunch of brownies (not that I’m complaining). Plus, don’t even get me started on the snacks. So when we received an invitation from ClassPass, it was an offer that we simply couldn’t refuse. If you’ve been living under a rock the way that I was just a couple of months ago, here’s the breakdown. ClassPass is the leading membership service to the largest fitness network in the world. Providing the local market with a fresh new take on the idea of working out, ClassPass allows you to pay a flat fee to workout at different studios around your city. And if you travel a ton, don’t worry about it. You can use ClassPass wherever you go. Over the past two months, I had the pleasure to take close to 15 fitness classes through ClassPass. With its incredible array of choices, it has certainly been a great learning experience for me to dip my toes into the different offerings in the KL region. Founded in 2013, ClassPass has formed an alliance with over 12,000 partners in over 50 cities worldwide, ClassPass connects members to a variety of fitness experiences, including yoga, cycling, Pilates, barre, running, strength training, dance, sports, videos and more. Recognized as one of Forbes’s Next Billion Dollar Startups, ClassPass leverages proprietary technology to dynamically merchandise and surface over a million fitness classes for a seamless booking experience that facilitates discovery. The idea of a multi-studio membership is undeniably alluring, as the fitness lifestyle can definitely rack up the bill quite a bit. Typically, I work out in a gym and oftentimes with a trainer. Add on the occasional fun runs every now and then, there isn’t much room in the wallet for random drop-in classes or even a whole other membership. With ClassPass providing access to tons of studios, the prospect of exploring the fitness lifestyle is made even more viable and exciting. Within the first month, I was able to incorporate a variety of workouts and get a vibe for different places before finding my favorites. The library of choices is certainly one of ClassPass’ greatest strengths. 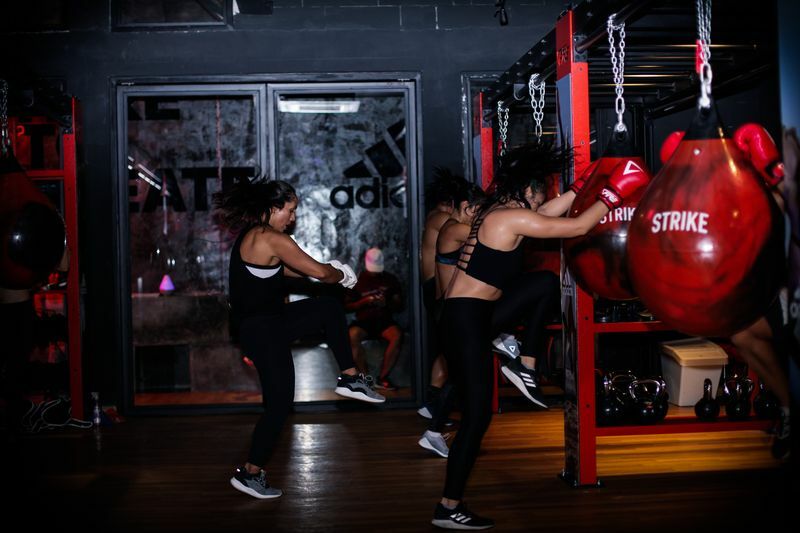 Leading up to its grand launch, ClassPass has developed strong ties with some of the top studios in Kuala Lumpur such as FLYPROJECT, FIRE Fitness, HIIT2fit, The Flow Studio, and more. In addition, the sheer convenience of being able to reserve and cancel a class in a matter of seconds is a huge plus too. With the opportunity to immerse yourselves in a variety of new and innovative classes taught by some of the most in-demand instructors in town, working out will never be the same again. Whether it’s aerial yoga, reformer Pilates, high-intensity circuit training or even rock climbing, ClassPass allows you to look forward to one-of-a-kind fitness experiences that fit seamlessly into your busy schedule. The ClassPass mobile app is now live in Malaysia─available on iOS and Android via Apple App Store and Google Play respectively.